I keep this jacket in my climbing pack because there’s no reason not to bring it everywhere. 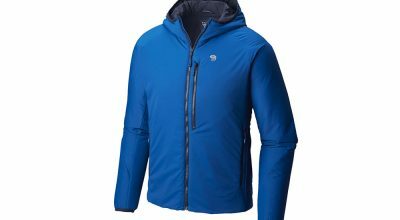 New this fall, the Rab Xenon is a highly compressible, lightweight synthetic jacket that is a perfect partner for alpine or multi-pitch rock routes. 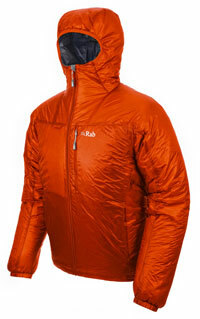 The Xenon packs a crazy amount of warmth into 12 ounces, owing to its Primaloft One insulation. When paired with a long-sleeve base layer or two, the Xenon has kept me toasty down to a windy 40 degrees. 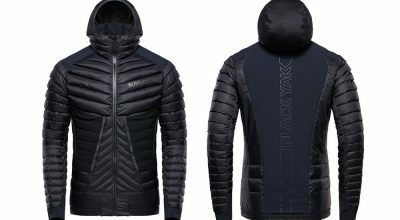 This jacket is no frills, lacking zippers on the hand pockets, and its simple, sleek design spares weight. Its Lycra-bound hood is low volume, meant to be worn under a helmet, which I appreciated during all the times I wore the jacket around town or cragging because it fit my head snugly, keeping me warmer. The hood also rolls up and a compression strap lashes it down. A nylon outer shell made of Pertex Quantum 10d offers some weather resistance in light rains, is ultra light and extremely durable. Like a phone book, this stuff is hard to tear, despite my best efforts brushing elbows with coarse-toothed conglomerate and bushwhacking through briars. The feature I liked most about this jacket is how small it packs, right into its own chest pocket. I keep this jacket in my climbing pack because there’s no reason not to bring it everywhere. It’s a multi-purpose garment that I’ve used as a primary outer shell in cooler autumn conditions, as well as a layering piece under a big down jacket for when it’s really cold in winter. Three colors: blue, juicy (shown), dark shark. Sizes: XS-XXL. outer and lining. Durable and light. Two hand pockets and one chestpocket. Snug hood. Sleek fit. Packs into its own chest pocket.